Any time someone publishes a “The top n GNOME Shell extensions” article, there’s a fair chance that it will include the AlternateTab extension. That is a bit sad to be honest. Not because it would be wrong for users to prefer a more traditional switcher, mind you, but because the actual functionality has been built-in for years — all the extension does is intercept one keyboard shortcut and pretend that it was a different keyboard shortcut. But wait, if the extension doesn’t do anything really, why does it even exist? Well, until very recently, the extension was still used in GNOME Classic, so that the same <Super>Tab> shortcut would bring up the default application switcher in the regular GNOME session and the window switcher in the Classic session. I am happy to announce that yesterday Polari joined the Gitlab pilot project. This means that if you encounter any issue that has not been reported yet, it should now be reported in GNOME’s gitlab instance. 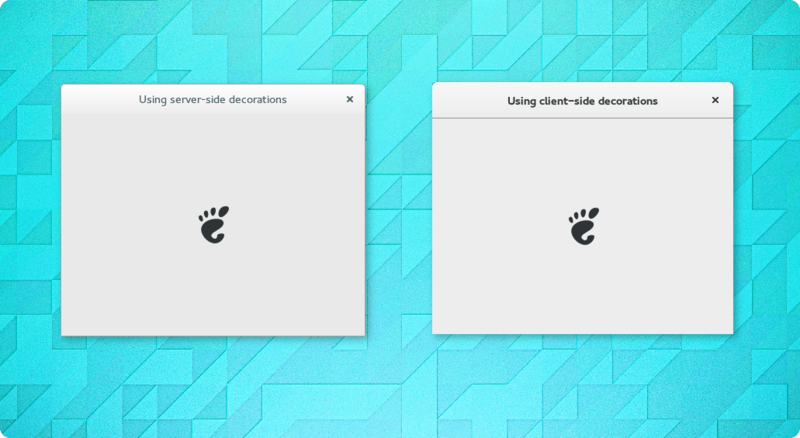 If you have updated to the recently released GNOME development version, you may have noticed that some window decorations look slightly different. Of course it is quite normal for the theme to evolve with the rest of GNOME, but in this case the visual changes are actually the result of some bigger changes under the hood which deserve some more explanation. 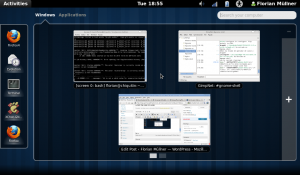 It is well-known that GTK+ gained support for client-side decorations a while ago – after all, most GNOME applications were quick in adopting custom titlebars, which have become one of the most distinguished patterns of GNOME 3 applications. However it is less well-known that client-side decorations may also be used for windows with no custom decorations, namely when using GDK’s wayland backend. It isn’t really. Whether the non-customized decorations are provided by the window manager or by the toolkit is transparent to the application, and there is no reason why users should care either. Ouch. There is an all-too-obvious visual difference for something that should be an implementation detail, and the possibility of users encountering both styles in the same session doesn’t help either. 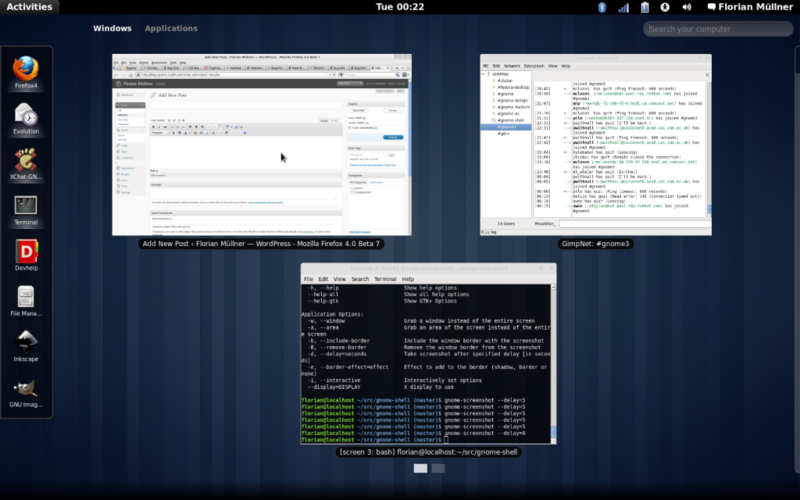 Of course it would be easy to just blame the GNOME design team – after all, while the metacity-1 theme format used by the window manager is hugely different from CSS as used by GTK+, it would still be possible to create a more consistent look from the lowest common denominator of both formats. But if the goal is to have both types of decorations match as closely as possible, using different themes and expecting an already overworked team to put additional work into papering over the differences is hardly the best solution. Did I mention that the metacity-1 format is also plainly unpleasant? Now it would be dishonest to pretend that there aren’t any downsides – the metacity theme has been around a decade longer than GTK+’s client-side decorations, so it is hardly surprising that there is a greater selection of the former around. And support for window-decorations in 3rd party GTK+ themes is often dodgy, if it exists at all. 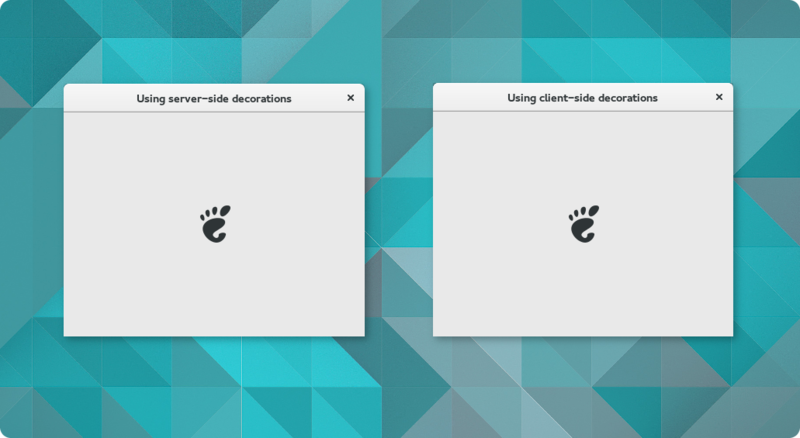 However with more and more GNOME applications using custom titlebars and the upcoming transition to wayland, it does not get easier to ignore GTK+’s decorations – some broken decorations may be better than all broken decorations, but the correct way forward is of course to fix GTK+ themes. It’s CSS after all, which is much more familiar to most artists than the old format, and quite a bit nicer as well, so here’s hoping that the situation will improve rapidly. So that’s it for today – if you encounter any issues not mentioned above, feel free to file bugs. 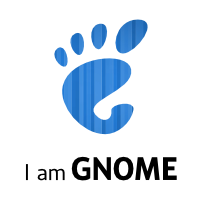 So the weeks of craziness have come to an end – the awesomeness of GNOME 3 is out and the time to celebrate has come. It is a great achievement, and I am proud and happy to be a part of it and the community which made it happen. If you have not tried it out yourself yet, do so now. Seriously. Just be warned – once you’ve fallen for it, there’s no turning back. One of those little details will get at you, and you’ll live happily ever after. What will it be for you? The new System Settings? Streamlined Nautilus? Resident notifications? Chat integration? Topic-based help? The modern and polished theme? Indeed, this is one of the many ways that we’ve made GNOME 3 better. Yesterday I finally opened a Bugzilla bug to land the overview-relayout branch, so the review process has now started and hopefully the work will appear on master soon. Most recent changes have been internal, but as seen above, the overall design has been tweaked a bit (not least thanks to Allan Day‘s input): the large black boxes around the currently selected view are gone, and the controls to add/remove workspaces have been moved to the screen edge (yup, the F–word!) and slide out on hover and during drags. Also the animation when entering or leaving the overview has been modified to only zoom the window previews — addressing a common complaint about the animation being visually expensive (well, or just “too much”), and resulting in the first bug filed explicitly against the overview-relayout branch — woops. My name is Florian Müllner. I was born and raised in the boring plains of Northern Germany. I have been living in Madrid with my boyfriend during the last couple of years. I am older than Paris Hilton, but younger than Perez Hilton. I started hacking on the Shell a little more than a year, and working for Red Hat a little less than a month ago. If you want to bribe me, you can buy me beer.